Show your support for the brave freedom fighters serving our country. This Air Force Defending Freedom flag features full color artwork, polyester construction, and grommets for hanging. Designed for indoor or outdoor use. Measures 3 ft. x 5 ft. I ordered this flag to replace one I accidentally destroyed. This is a great flag and it takes a beating in the winds we have in the spring. The color doesn't fade out and it is easy to clean. 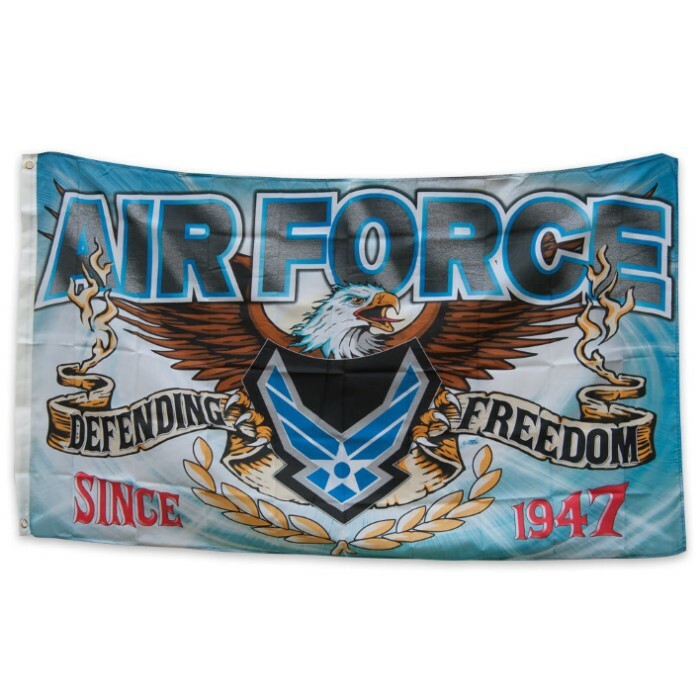 I would recommend this flag to anyone who wants to display their Air Force spirit.